Manage your company on the macro-level with Aggregate Reporting, a dynamic new feature that compiles and organizes all of your company's information. 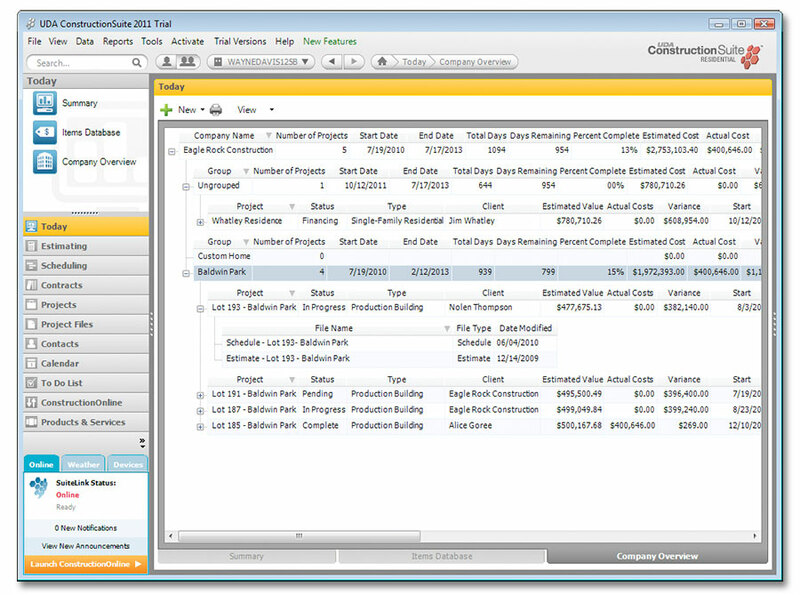 As the central dashboard for your company's project information, the Aggregate Reporting system enables you to access cumulative information about your developments, including total number of projects, start and end dates, total scheduled days, estimated cost, actual cost, and an array of options for each project. This powerful, all-in-one reporting system for multiple projects merges information from across the ConstructionSuite database. With advanced sorting and filtering options, you can view total number of projects, complete scheduling information, cumulative cost outlook, and an array of information for single or multiple project groupings. Compare total estimated value for project groups and total actual costs to get cumulative information about your company's financial outlook. View total duration for project groups, including projected start and end dates. Access detailed schedule information such as days remaining and percentage complete to ensure that the development is progressing as planned. Compile and organize all of your company's project information. 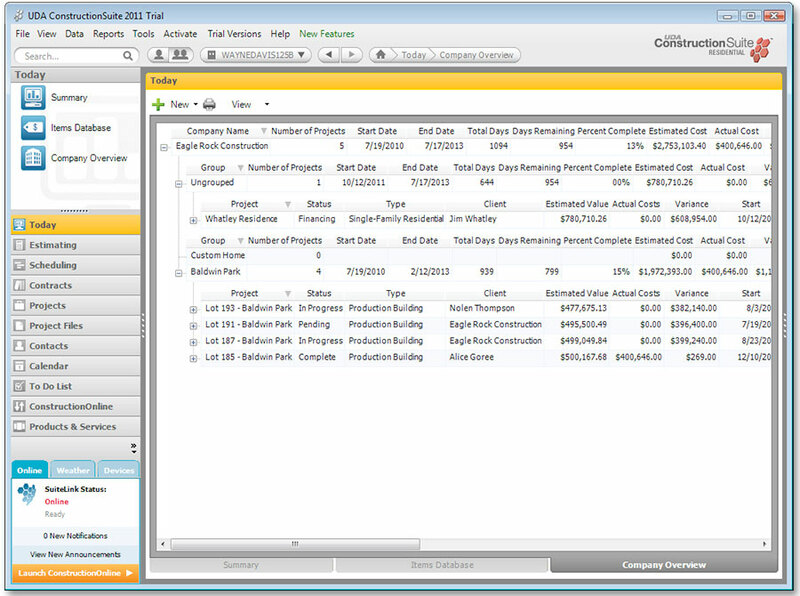 Multi-project capabilities merge data across the ConstructionSuite database. Take advantage of multiple sort and filter options to obtain global information about your company's projects. More than just a method to sort, filter, and view project files, the Aggregate Reporting system takes the power of integration and delivers detailed, cumulative information for your project groups and developments. Pulling from data stored in your construction estimates, schedules, project information, and contact details, the Aggregate Reporting system gives you the information you need and the flexibility you'd expect from a leading construction management system. Only available in ConstructionSuite Corporate and Network editions, this powerful new feature is ideal for Property Developers and Contractors working on multiple projects simultaneously.